For those of you lovelies who follow along on the ride that is Instagram, you may have noticed an abundance of healthy food in my feed. For the second year in a row, our family is splitting a Community Supported Agriculture (CSA) box with another family. And quite frankly, we love it. However. The first few weeks of our CSA box were very.... green. Green vegetables in early summer makes sense. It's how nature works, I get it. I'm just (gasp!) not a big fan of salad. And eating more than one braised bitter green as a side dish each week is simply not going to happen. When it comes to green leafy veggies, I bore easily. We ate A LOT of braised veggies last year. And end-of-the-week chop suey. And whatever-is-left-in-the-fridge green smoothies. So, naturally, I wanted to live up to my name and be a little more creative this year, and then maybe get even more creative next year. And so on and so forth until I am an all-star at eating vegetables. In like a decade. 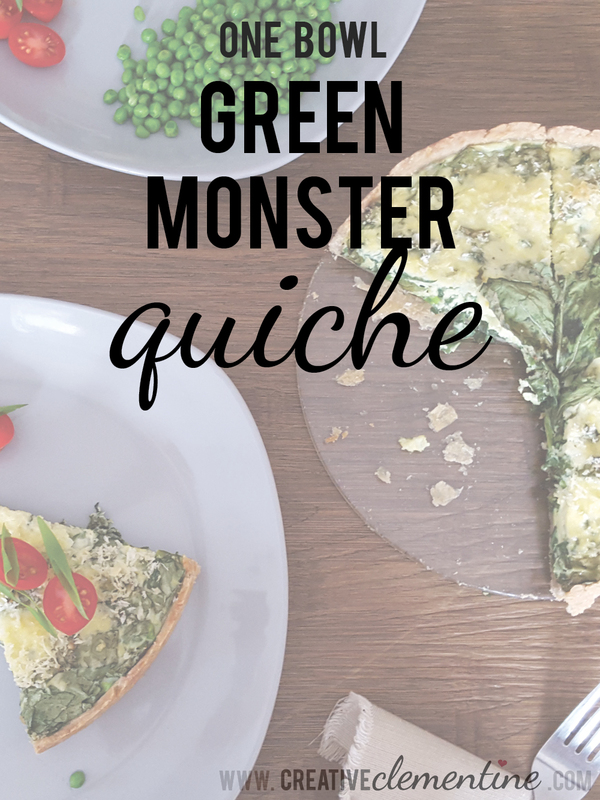 My first go at creatively eating our greenery was this Green Monster Quiche. 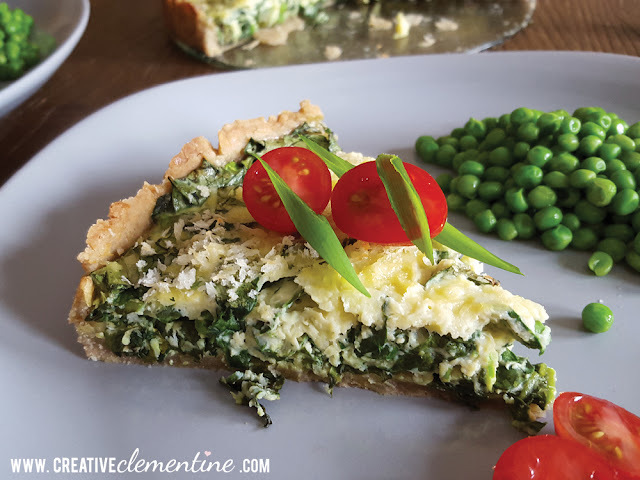 Not only is it tasty, but this recipe is a quick fix for using up all the greens from your CSA box before you're overwhelmingly bored of eating veggies. It's also spectacularly lazy, as it's all made in one bowl. The first step is to make a simple crust with oil, water, flour and salt. Then you press it into the pan, and add all the filling ingredients to your dirty bowl. Lazy. Our CSA box had Choho Mustard Greens, but any other bitter greens would also work. Chicory greens, spinach, arugala... even beet tops or radish greens would do the trick. 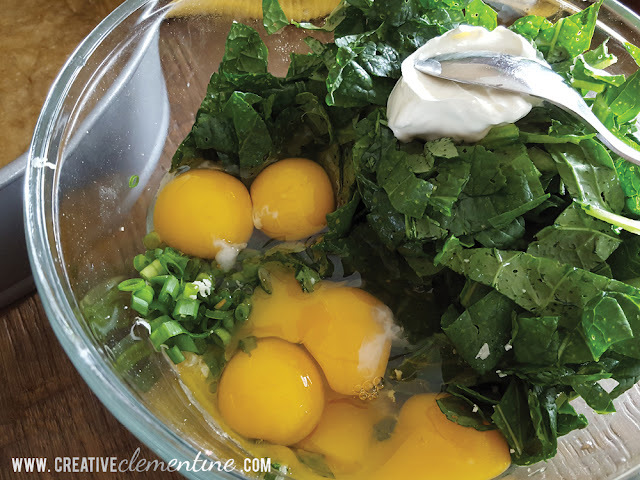 Mix it all up with the eggs and other goodies like garlic scapes and cheese--it feels like you're just coating the greens with eggs. 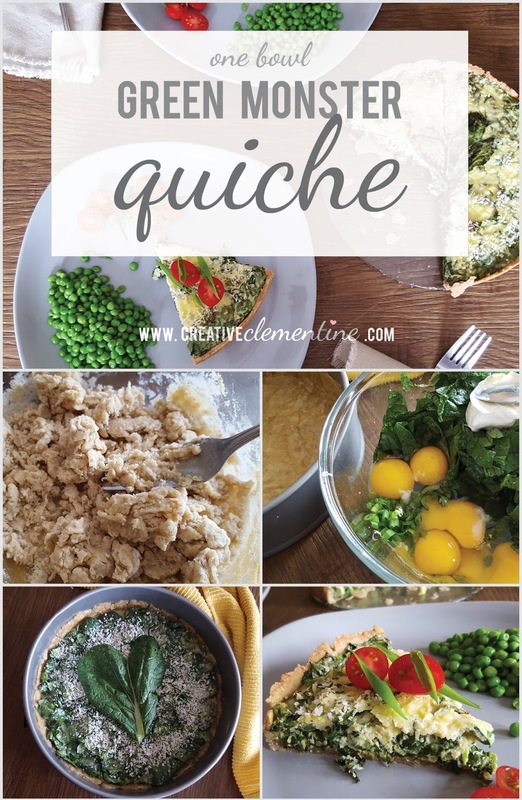 Trust me, it puffs up into a proper quiche and not a weird baked egg salad. Once the filling is mixed together, you just pour it into the pan and sprinkle it with panko. Or, if you're me, you'll experiment with using the greens as a garnish. That experiment will fail. So long, heart shaped leaf. You'll be missed. 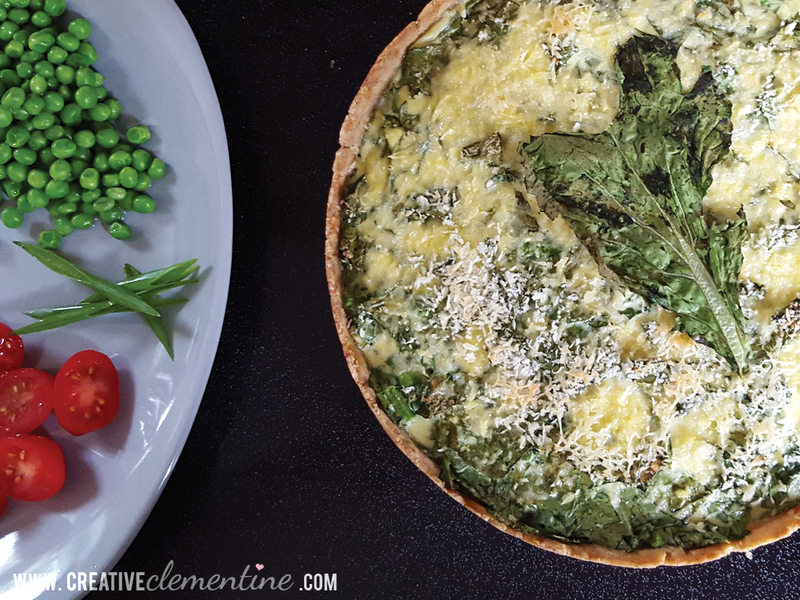 Once it's all baked up, a little extra cheese and some fresh veggies make this monster of a quiche really roar. This would be an excellent match for feta and sundried tomatoes, too! In a small measuring cup, whisk together oil and water. In a large bowl, stir together salt and flour. Add wet to dry and blend with a fork. Press into a greased 9" quiche or pie pan to desired thickness. In the same bowl you used for the crust, mix together the vegetables, cheese, eggs, and sour cream (first six ingredients listed). Mix together well, making sure to coat all the leaves. 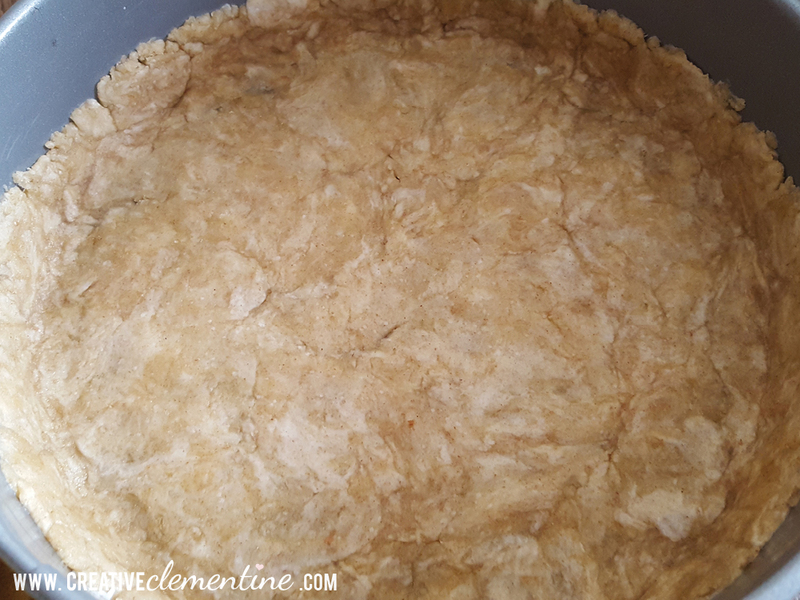 Pour evenly into pie crust dish. Sprinkle with panko crumbs, topping with salt and pepper to taste. Bake for 25-30 minutes, or until fully cooked. Let cool for 10 minutes. Serve warm, garnished with fresh tomatoes, green onions, and Parmesan cheese. 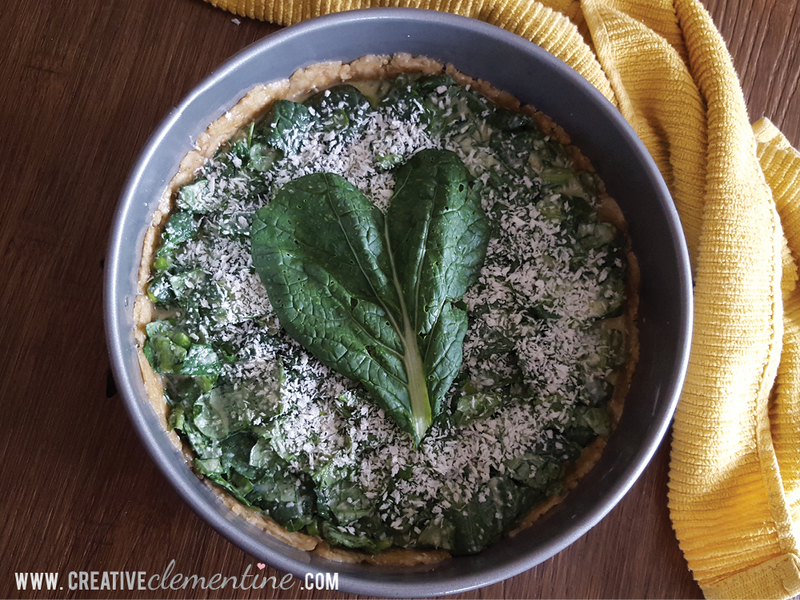 What are your favourite recipes for early-summer greens?